What if you could go to your OB or midwife appointment and continue the conversation - especially if you had questions about non-medical, common ailments regarding your pregnancy? What if you had one number to call in search of a recommendation to a vetted chiropractor or a playgroup for new moms? Well, now you do! Physicians and Midwives delivers only the best in birth and postpartum health care. They envision a process where a qualified, professional doula or other birth professional can provide for your non-medical, but equally important needs as a new expecting mother or newly postpartum one. The benefits of a birth or postpartum doula are well known. Physicians and Midwives is notable for clinical excellence and putting their patients first. As such, they are unveiling a comprehensive, birth concierge program sure to magnify the care their practice provides exponentially above all of the norm experienced elsewhere. Our new Birth Concierge service provides 24/7 access to a caring, experienced professional ready to support you throughout your journey into parenting. NOVA Birth Partners and Physicians and Midwives are working together to ensure that your birthing experience is not only one to positively remember, but also one where you felt overwhelmingly cared for and supported. Oftentimes, being pregnant or newly postpartum requires much focus to be on the physical conditions of childbearing. Physicians and Midwives is committed to serving the psychological, emotional, social, and physical needs of their patients. You are not simply your diagnosis. As such, enlisting birth and postpartum support professionals that are eager to cater to even your intangible needs is a commitment to their belief in convenient but also compassionate partnership with their patients. The fact that Physicians and Midwives celebrates a truly collaborative care model is a perfect fit for a patient-driven birth and postpartum program. 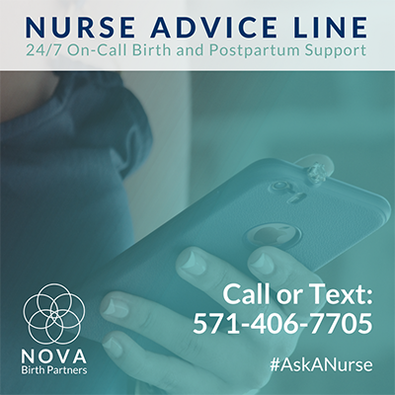 NOVA Birth Partners is regionally known for being a nurse-led team of perinatal experts offering services such as labor & birth doula support, postpartum doula support, in-home lactation services, evidenced-based childbirth education and more. Their unbiased approach and hunger for compassionate, individualized care requires an allegiance with an esteemed obstetric and midwifery care practice. Lovingly called "the Dream Team," NOVA Birth Partners has designated some of its best and brightest birth and postpartum care providers to serve as complementary support experts for Physicians and Midwives. Each and every time you choose to hire a care provider from NOVA Birth Partners, know that you are also hiring the best in the business. Being a preferred concierge team of Physicians and Midwives ensures you will always have access to collaborative care facilitated with the interdisciplinary insight of your trusted Obstetrician, Midwife, and/or Pediatrician. Although much of our services must be purchased by clients, we offer a wealth of no-cost perks and support strictly to Physicians and Midwives patients. Please contact us to learn more about how we are here to support you collaboratively with Physicians and Midwives. Your involvement and right to make informed choices in your care matters to all of us. 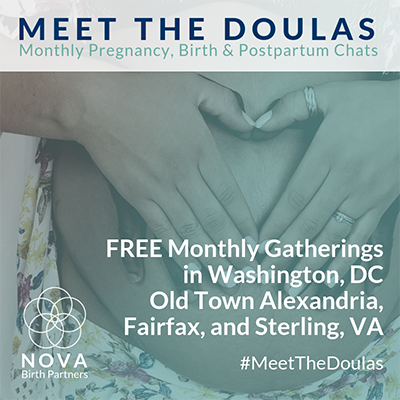 Meet the Doula – Clients have the chance to meet the doulas in one session in advance. An informative mini childbirth education class is provided as well. Free to attend. Vetted referrals and resources (to Chiropractors, Acupuncturists, etc.). Access to peer support via playgroups, birth circle, and new mom pregnancy groups. Monthly raffles for sponsored services relevant to perinatal families. Childbirth Education from experienced, well-rounded educators with birth attendant or private, newborn care experience. Ancillary services such as belly-binding post-pregnancy, mother roasting, sacred postpartum, prenatal and postpartum massage. Prenatal and postpartum counseling, family therapy through Licensed Therapists. Prenatal & Postpartum Home visits. Birth and Postpartum doula services & support. Low-cost, sliding scale birth & postpartum doula services. Cesarean Doulas – provide in-home education, support for families that have received a C/S. Sibling Childcare for birth and thereafter. Nanny care and placement (both temporary and longterm). Hypnodoulas: Doulas certified in supporting a patient using hypnosis in childbirth. In-home and in-office Lactation support and consultation: we also rent breastpumps and sell lactation products. Birth, newborn and maternity photography. Please click on a team member to learn more. We believe evidence-based education coupled with phenomenal support significantly increases access to safe, positive outcomes for birthing families. There are tangible, factual statistics pointing to the correlation between adequate full circle support and better birth + postpartum outcomes. Physicians and Midwives is a market leader driving better outcomes for families in the Northern Virginia area. Together, Physicians and Midwives and NOVA Birth Partners are committed to providing you the best care. Physicians and Midwives is grateful to be the driving force behind your medical care while NOVA Birth Partners is excited to help you remain at the center of it. Because the NOVA Birth Partners vision and mission is to provide comprehensive birth and postpartum support regardless of the ability to pay, we ensure you access to more than just a doctor's appointment. We share our expert knowledge, compassionate presence, and local resources, so that you can make informed, empowered choices about what's best for your family. Pregnancy, childbirth, and parenting involve every part of you. Your feelings, hopes, fears, physical and practical needs, and spiritual or religious beliefs can all affect your pregnancy, birth, and postpartum experience. Our belief in the Midwifery Model of Care unites us, and it's why we chose to come together to offer you a continuous circle of support. It underscores all we do by putting women first​ rather than profits. ​With our shared ethical commitments and standards of professionalism, you can expect to experience the same quality of care from every member of our team. Our circle of continuous care means you have instant access to expert professionals you can trust.